There’s something really satisfying about growing stuff but when that “stuff” is food, it’s even moreso. Growing your own vegetables is not only satisfying but it’s also part of a really healthy lifestyle. 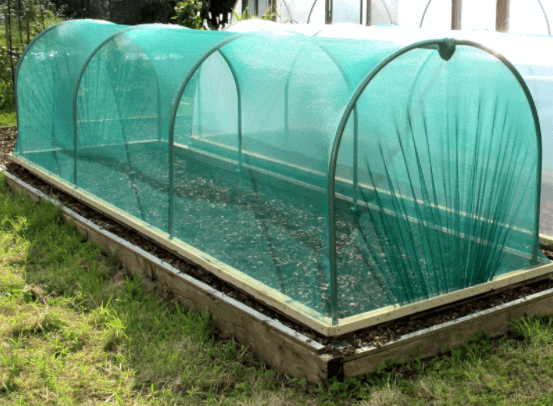 If you’re serious about growing your own vegetables the best way to do so is a purpose made polytunnel. Polytunnels are vital in protecting your precious crops from the elements whether this is rain, snow, wind or just very low temperatures. By allowing you to increase the temperate of the environment you can grow more tender vegetables such as tomatoes, peppers, chillis, capsicums, Asian greens and vegetables which are generally used to a warmer climate. Polytunnels allow you to grow a much wider range of vegetables enabling you to become more self-sufficient and giving you food all year round as opposed to only in the spring and summer. One of the biggest benefits of growing your own vegetables is that you know exactly what hasn’t been sprayed on them and you know that they’re 100% organic. Moreover, from the field to fork it’s not just food miles, it’s literally food inches! Add to that the flavour of growing your own vegetables in your very own polytunnel will be unrivalled by any you buy in your local shop. If that’s not enough of an incentive, it’s only when you grow your own, that you’ll understand just what a kick you can get from going into your back garden to pick your own and make them into amazing homemade recipes. So why not join the polytunnel brigade and grow your own vegetables and live “the good life”. First Tunnels are running a competition on our website offering one lucky person the opportunity to win a mini polytunnel! (4ft Wide, 10ft Long, cover type of your choice). All you need to do to be in for a chance to win this brilliant prize* is head over to the First Tunnels website, answer a question, then cross your fingers that you will be chosen as the lucky winner.